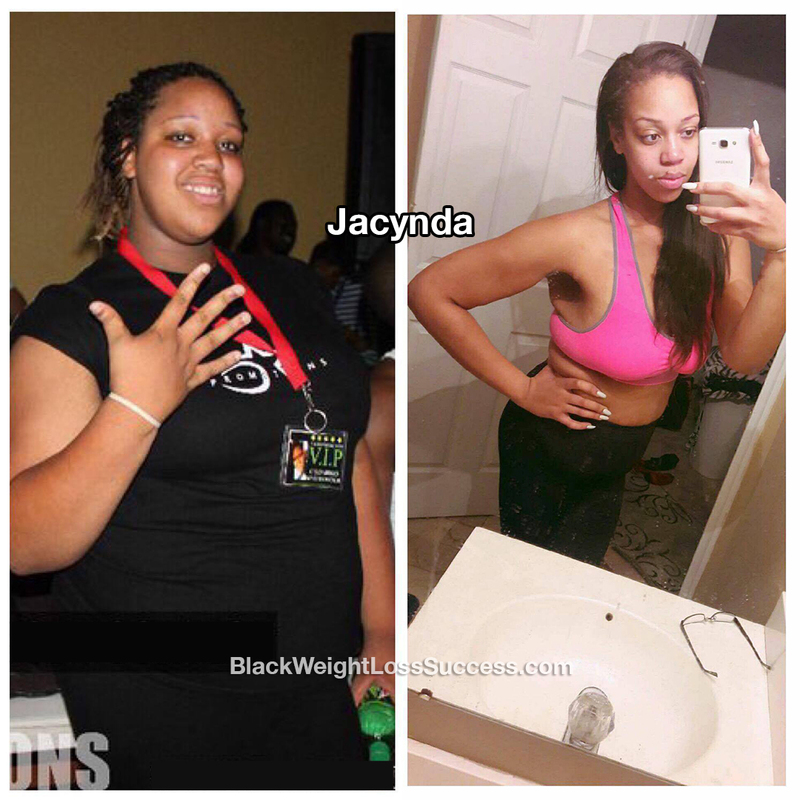 Transformation of the Day: Jacynda lost 130 pounds. Losing her beloved mother led to depression, emotional eating and weight gain. In 2016, she decided that it was time make a change. 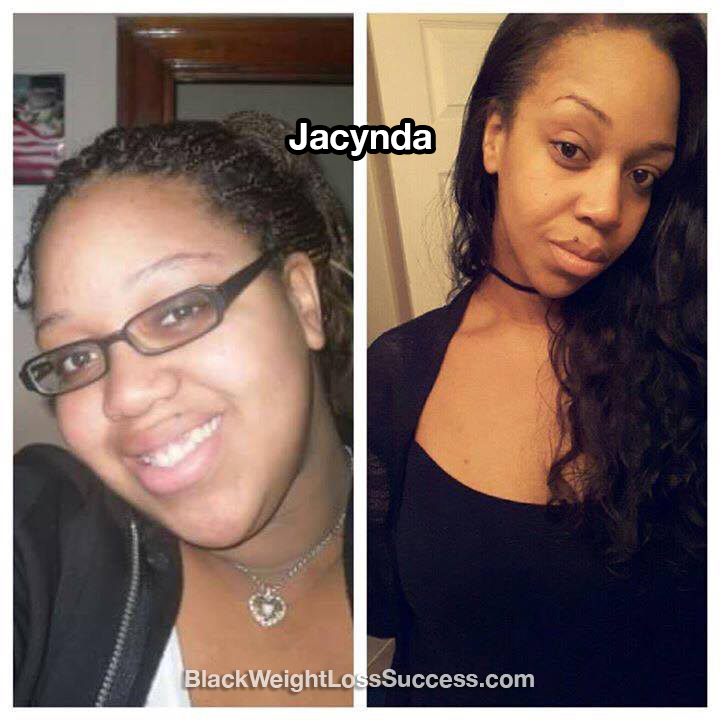 Clean eating, cardio and weight training are some of the tools she used. Now, she’s helping other people get fit and healthy too. Check out her story. My mother was hospitalized in February 2014 due to a surgery gone bad. As a result, I dropped out of college in my last year to be with her in the hospital 24/7 for two years straight… sleeping in recliner chairs and lobby chairs. In September 2015, she passed away from end stage kidney failure. I was depressed and didn’t know which direction to go. I became unhappy and my eating habits were even worse than before. Eventually, I just needed to make a change. I began my journey in May 2016 by changing my eating habits and walking everyday. Eventually, my new habits became an addiction. I began using a supplement called Resolution Drops [TLC], which also has a diet plan. I lost 30 pounds with these changes. Then, I signed up at Planet Fitness. The next thing you know, I was in the gym every single day. With time, I started to see great results. I was consistent and persistent. As I started sharing my results, it was inspiring to see that others were inspired by my progress. When I first started working out, I did a lot of cardio. As I did my research, I transitioned to using weights to tone up. Now, I workout 6 days a week, alternating between cardio days and weight training days. Some days, I do both. I’ve even started training 6 people in the gym, because they were inspired by my workouts and my success. My eating habits are completely healthy now, but don’t get me wrong. I slip up every now and then. For the most part, I eat clean. I’ve stopped eating fast food (that was my favorite). Things like Chick-fil-A and Wendy’s… that had to go. I really loved junk food and fried foods too, but I cut those things out. I don’t eat red meat. Baked or grilled chicken, lots of veggies and a good amount of carbs is an example of what you’ll find on my plate. I weighed 298 pounds and now I weigh 168 pounds. The biggest lesson I’ve learned is to never give up on something you want. I never thought I would be in this body, after being made fun of in high school and middle school, but here I am. I wanted to get healthy, because my mom was big on health. It’s so sad that she passed the way she did, as a result of a surgery that was only supposed to be four days in and out. I know she’s proud of me now. Health and fitness has become my passion and I’ll never give up. The advice I have for other people who want to lose weight: Go For It. Don’t let your mind tell you that you can’t do it. Allow your body to tell you different. Push until the end and fight for what you want until you get it. Even when you’ve reached your goal, go even harder. During this process, I’ve learned that you have to be self disciplined. You have to be your own cheerleader and your own support system. Don’t let anyone tell you can’t do something. Prove them wrong and prove your negative thoughts wrong. You can do anything you set your mind to. Amazing story with congratulations on the spot light of your journey! Indeed your biggest supporter is you including self cheer, but often those who believed enough in you to bring you to fountain are forgotten, even tho you are the one that chose to drink from it. Wishing you continued success as I continue to attemp my own. The struggle is real!